This professional grade stainless steel kitchen cart will add great function to your kitchen. A towel bar and two steel lower shelves will keep your kitchen essentials organized and close at hand. A removable cutting board top allows for easy cleaning. 1 1/2 inch thick hard maple butcher block with edge grain is both beautiful and utilitarian. Butcher block is finished with block cream with beeswax for conditioning. 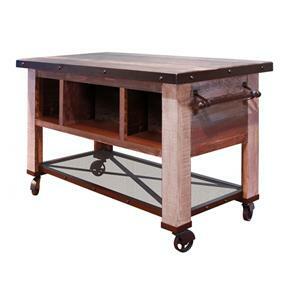 Commercial grade locking casters at the base of this cart complete the piece. The Kitchen Carts and Islands Kitchen Cart with Removable Cutting Board Top by John Boos at Dinette Depot in the Brookfield, Danbury, Newington, Hartford, Connecticut area. Product availability may vary. Contact us for the most current availability on this product. Customizable Options Some items are available with additional wood finish options for colored base by special order. Description: Top Tops are crafted of hardwood butcher block. Case Construction Our FSC certified lumber is derived only from forests that are properly managed according to the highest social, environmental and economic standards. 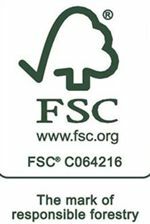 Using independent evaluation and inspection agencies, the Forest Stewardship Council ensures that these standards are maintained throughout the entire chain of custody, from the forest to the end-user. Warranty One year guarantee against defect in workmanship and material. The Kitchen Carts and Islands collection is a great option if you are looking for Casual furniture in the Brookfield, Danbury, Newington, Hartford, Connecticut area.